Are you frustrated by poor communication and waste in your organization? Lean thinking may be just what your team needs. Lean thinking refers to a philosophy and management strategy focused on customer value and respect for people. The instructor leads the class with engaging exercises and examples from a variety of industries to bring the lean principles and tools to life. Students leave the classroom with an idea of how to begin applying their learning to their work immediately. Directions to training locations will be shared once attendees have contacted Lean East to sign-up for a class. Bob Cameron is a certified Lean Six Sigma Master Black Belt. He believes Lean is not something an organization does, but rather is an enabler that when coupled with the right culture and behavior will help any organization achieve its full potential. 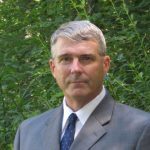 Bob has had a 33-year military career, with over ten of those years dedicated to leading Lean deployment for the Navy in Bath, Maine. Lean East also offers customized training services to adjust our content and timing for your team’s needs. Lean East Provides Lean Training Excellence! The Bath Iron Works continuous Improvement department annually contracts our Lead Green Belt Instructor, Robert Cameron, through Lean East. Each year they have been able to expand their offerings to serve us well every time. We work collaboratively to improve our training materials and student experience. I would readily recommend Lean East to others growing their lean practitioner base. Return to the list of Training Courses.